The Norwegian Institute of International Affairs [NUPI] is a leading centre for research on international issues in areas of particular relevance to Norwegian foreign policy. 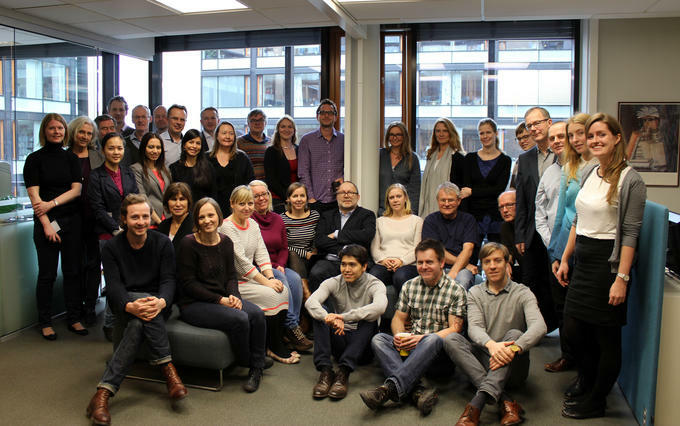 We communicate research-based insights to the Norwegian public as well as to wider international audiences, and are committed to excellence, relevance and credibility in all our work. NUPI has three main pillars of research and expertise: security and risk, growth and development, and international order and governance. The Security and Risk pillar covers traditional security and defence policy and peace operations, as well as other aspects of risk in Norwegian foreign policy related to greater investment, travel and presence abroad. Growth and development focuses on the emerging powers, international economics and developmental issues. Order and governance covers the multilateral system, regional organizations and how diplomacy as an institution works and evolves. At NUPI we undertake basic as well as applied research and advisory services, always striving for sound, theory-informed foundations in our work. A central principle is interdisciplinary collaboration, within the institute and with other institutions in Norway and abroad. We aim to be relevant both for professionals in international politics and for the general public in Norway. NUPI’s researchers participate actively in the public debate in their fields of expertise and make frequent appearances in the media. NUPI was established by the Norwegian Parliament in 1959. The institute is a state body under the Ministry of Education and Research, but operates independently as a non-political institution in all its professional activities. Main sources of funding for research at NUPI are the Research Council of Norway, the Norwegian Ministry of Foreign Affairs and the Norwegian Ministry of Defence. Support also comes from private companies and international funding sources, such as the EU. NUPI’s Director is Ulf Sverdrup, and the Chair of the Board is Kate Hansen Bundt.